The Chartreux is an old French breed with a warm and friendly temperament. It has a beautiful medium-short blue-gray coat. This is a guide about Chartreux breed information and photos. 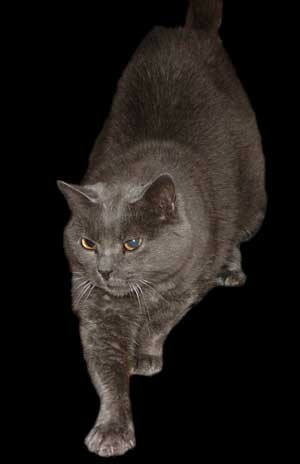 Breed Description: The Chartreux is medium in size and large and sturdy in build. They have a wide forehead, narrow muzzle, semi-long legs and large paws. In general, they give the appearance of being robust and solid. This breed has a beautiful medium-short coat that is blue-gray in color. Their eyes range in color from copper to amber and their faces often look as though they are smiling. 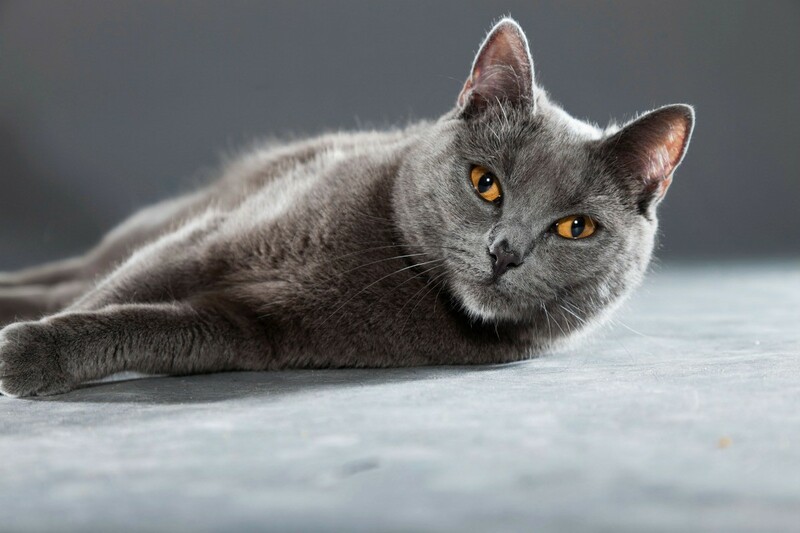 History & Origin: The Chartreux is an old French breed dating back to as early as the 1300s. As it is with many ancient breeds, its exact origins are unclear, but the breed was recorded, named and illustrated in an 18th century book on natural history. Character & Temperament: The Chartreux is a warm and friendly breed with a smiley expression, which is a reflection of its easygoing nature. This breed generally gets along with other cats and dogs and makes an excellent companion for children. Slow to anger if something displeases them, they are more likely to move to another area than complain or extend their claws. They love to play and climb and prefer the company of other pets if left for long periods. A good mouser, the Chartreux is often seen on sunny widow sills and heard only occasionally when purring deeply. Coat Type: Shorthair; Chartreuxs have a double coat of medium-short, glossy hair with a slightly wooly undercoat. The coat stands out from the body; it feels soft to the touch. Grooming: The Chartreux's coat should not be brushed, but just stroked frequently to maintain its shine. Claws should be trimmed and ears cleaned only when necessary. Health Considerations: This breed is generally healthy and suffers from few breed- specific genetic defects. Trivia: The Chartreux is also known as the 'Carthusian Cat', the 'Monastery Cat' the 'Blue Cat of France' and the 'Smiling Cat.' Genetically speaking, the blue-gray color of the Chartreux is actually a diluted black. Aww, pretty baby. No such thing as an ugly cat.